In this guide to meal prep for beginners (or anyone, really), learn 5 steps to stop meal prep drudgery and start actually saving time all week long. A few years ago, I decided to set a timer to find out how long it took to prepare all of our meals, lunches, and everything else for the upcoming week. Do you know how long it lasted? Six full hours on my feet at the kitchen island chopping, wrapping, unpacking, and repacking. That’s 6 hours I would have rather spent crafting with my kids, spending time with my husband, or even just getting another project done around the house. It was exhausting. And it felt even worse, knowing that I had to wake up at 4:30 the next morning to get to my full-time job (that I since left – yay!). No wonder it felt like there was no down time in my life. Honestly, there’s no point in doing meal prep if you hate every minute of it. I needed to go back to basics and take another look at how I got my work done. Now I’m sharing my lessons on meal prep for beginners, so no one else needs to feel stressed and overwhelmed in the name of ‘saving time’ later. 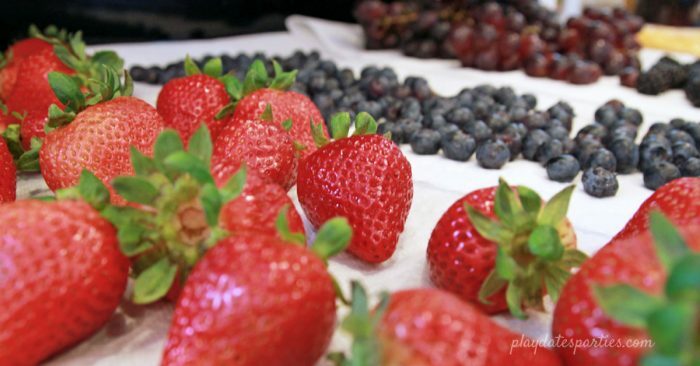 A good meal plan is so much more than just a list of recipes you want to try. It will take into consideration both your schedule, and the progression of food during the week. Knowing how your meals will progress helps you get smart about how you prep your food. Plus, it’s a great way to save a little extra cash each week. I’ve already written about my favorite meal planning tips. You can read all about it here. Planning your meals to use many of the same ingredients means you can prep most of your ingredients at once. That is the biggest time saver of all. Group together each ingredient, such as ground turkey or bell peppers. Make a note of how much of each ingredient you need and what you need to do with each. I used to spend half my day grocery shopping and THEN spend those six hours at the kitchen island. See where I’m going here? Switching to online grocery shopping was one of the best things I could do for our family (aside from using a monthly meal planning schedule). Now, all I do is add our groceries to the list and then wait for them to be delivered. Bonus: not going to the store means fewer impulse purchases, which has saved our family thousands over the last year. Yes, thousands. BUT I still don’t do our meal prep all in one day. Wash and dry produce while putting away all the other groceries. Have a cutting board out already? Chop up a few extra vegetables to get a head start on the next meal. If you’re making sandwiches for Sunday lunch, make a couple more to pack for school lunches during the week. So, instead of spending six hours focused on meal prep for the whole week in one sitting, I fit it in while making dinners and lunches over the weekend. I firmly believe that this is an important way to make meal prep for beginners less overwhelming. I remember one day working in the kitchen at my stepmother’s catering office, and packing up various produce and herbs. The next thing I knew, I was being scolded for packing things improperly. Wrap the stems of your herbs in a damp paper towel and store them standing up in a cup in the refrigerator. Store chopped onions double-packed to avoid smelling up surrounding ingredients. Alternatively, store chopped onions in pre-measured amounts in the freezer. Don’t store mushrooms in plastic packaging. Instead, store them in paper bags. Chopped melons will go bad faster if left to sit in their own juices. Try storing small quantities in a steamer + storage container instead. Though usually, they have a sous chef doing the chopping for them. Whatever you want to call it, meal packs are the key to making weeknights go so much faster. The basic premise is that you get all your ingredients chopped and measured ahead of time, so all you have to worry about is following the instructions. It really makes weeknight cooking SO much easier. Plus, having already read the recipe once or twice to do your meal prep means you already have an idea of what you actually need to do to make each recipe. So there are no surprises when it comes time to cook. I’ll even go so far as measuring out oils and sauces and placing them in these little cups. By age 10, most kids are able to handle a small knife with light supervision, and following simple recipes independently. Okay, this all looks like SO much, doesn’t it. But it really doesn’t have to be all that difficult. I’ve created a printable meal prep schedule and plan, as well as a sample of how I break up meal planning and prep for each week! 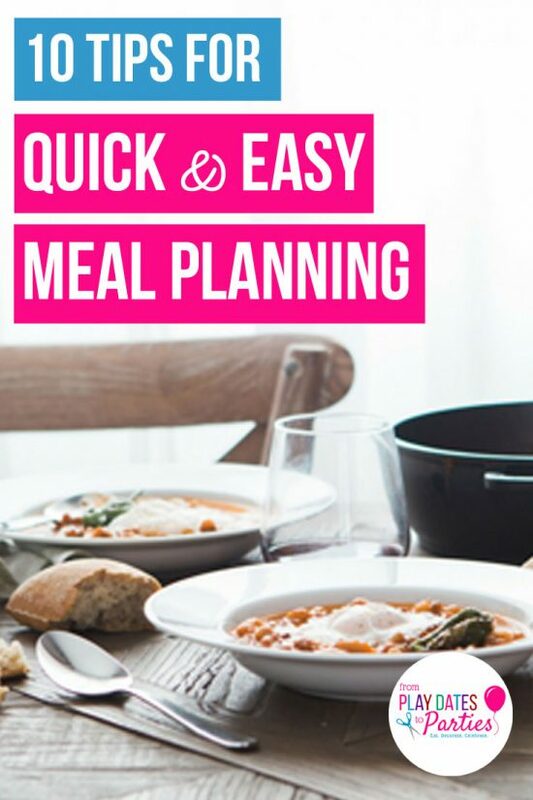 These tips in conjunction with the printable meal prep schedule and meal prep plan will keep you so organized, you’ll wonder why you ever spent so much time prepping your meals any other way. Do You Have Any Tips on Meal Prep for Beginners? How long does it take you to prep your meals for the week? This is full of great tips! My family has recently started the keto way of eating. I will definitely be using your advice as I prepare my first meal preps. Wish me luck! Thanks for sharing these tips. Meal prep is something I definitely want to make an effort at getting better at this year. These are some really good tips. I need to do this more often. It would make my week run smoother. It can get to be so much so quickly. I like your tip on splitting it up. Thanks for sharing these tips! It’s something I told myself I’d get better at doing this year. Thanks for sharing at the What’s for Dinner Party! Happy Easter. I love the idea of breaking up the meal prep into smaller chunks and doing it at the same time as you’re already preparing other meals or ingredients, or have out the things that will make it handy to do a particular task. That’s a great way to keep it from feeling overwhelming, just doing a little bit extra along the way. Thanks for the handy storing tips, too, as sometimes that can be tricky (i.e. cut up onions). Your tips will make the weekly meals go smoothly. A little prep goes a long way! Great tips, thank you. Thanks so much for this info, my husband and I were JUST talking about starting to meal plan! These are all great tips, especially the one about getting the kids involved. I made the mistake of doing it all myself, and now that the kids are older, they have no desire to help! I’m here from the Over the Moon Link Party. I’m going to pin your post to share with my readers. This is an area I need a lot of work in. I love your idea to break the prep sessions into smaller chunks. That works better for me as well. Thanks for these great tips! Pinning :). I have never enjoyed meal prep! Thank you for all of your great tips for meal prep for beginners. I can surely use these tips! Well, they say you can’t teach an old dog new tricks, but I see some pretty handy ideas here. Thanks so much for sharing with us all! Have a great day and I hope you and yours had a wonderful Easter. These are great tips, and love the organization! Thanks for sharing on To Grandma’s House We Go! What great tips! 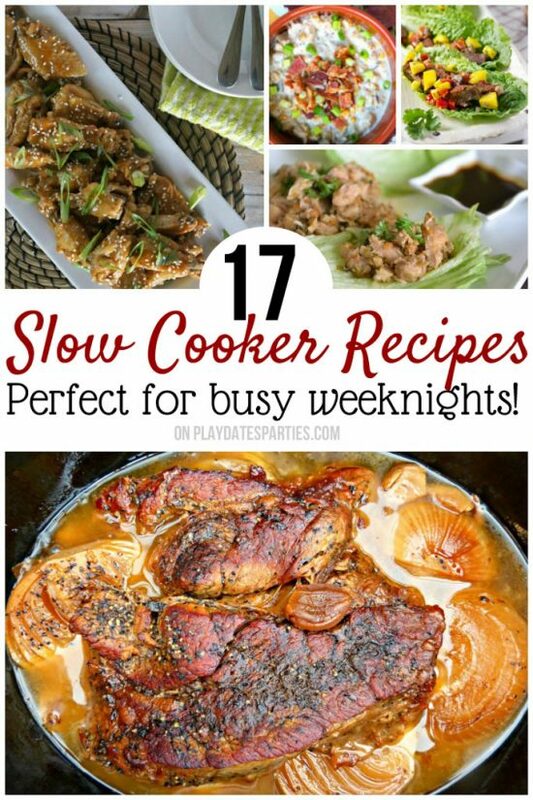 I loved using the slow cooker when I worked. So nice to come home to a meal all prepped and ready. Thanks for sharing with SYC. I’ve never prepared my meals ahead of time like this and now that it’s just my husband and I we do a lot of spur of the moment dinners. These are great ideas though and it would have benefited me greatly when I was working and my children were at home. Thank you so much for sharing with us on Party in Your PJ’s! Pinned!